I recently went big-game hunting in the bay for a jawed and venomous predator reputed to be two meters long. I found, instead, this interesting spaghetti-sprouting Polychaete worm named Cirriformis, just 10 cm long, lurking in smelly sulfidic mud. This species eats black mud from which it extracts organic material. According to Kelly Dorgan of UC Berkeley, those spaghetti-like things are gills. They are normally extended into overlying oxygenated sediments. 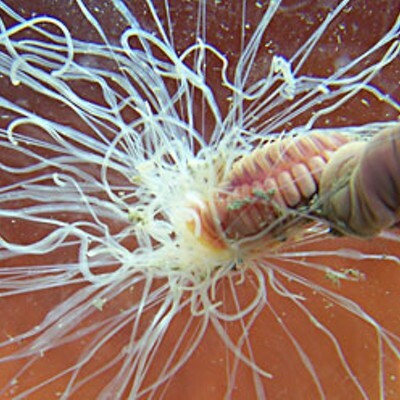 There exist over 5,000 described species of marine Polychaetes, a Class of the phylum Annelida (segmented worms). They exhibit an amazing variety of appendages designed for a variety of lifestyles. 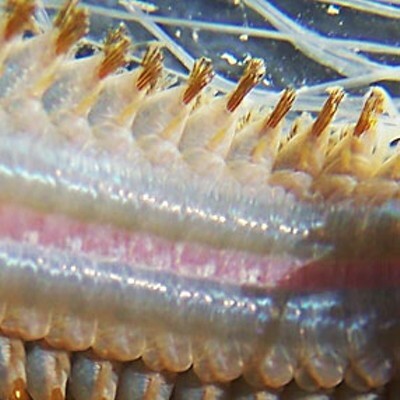 The photo of the underside of one species shows fairly typical appendages with bristles, called "setae." The top side of this 5 cm species is covered by two rows of scales. The third photo shows a worm (Terebellid) in Prof. Sean Craig's lab at HSU. It is feeding with tentacles, normally spread upon the sediment surface, which move food particles along barely-visible grooves. 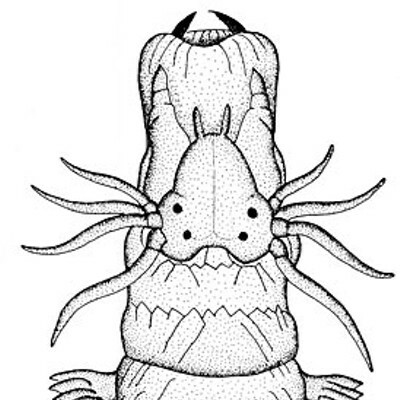 One genus, Glycera (aka bloodworm), may be 30 cm long but can extrude its pharynx (bearing four jaws) an extra 6 cm. Its jaws are hardened by the mineral copper chloride. The sketch is of two-jawed Nereis (permission from Richard Brusca) with its pharynx everted. The largest worm in Humboldt Bay, to quote the Brusca-brothers' Seashore Guide, is a predator "of the genus Neanthes which may reach more than 2 meters in length." 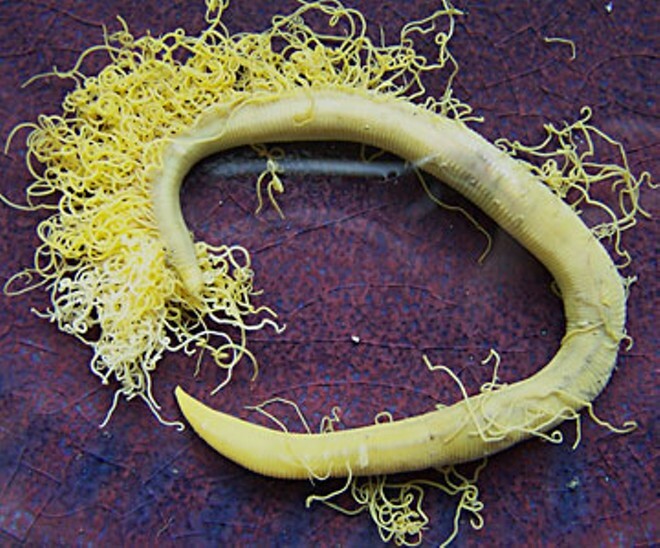 The most massive polychaetes are the mouthless tube worms of deep sea submarine hot springs. Their flamboyant gills absorb hydrogen sulfide from vented geothermal fluids. Blood transports dissolved sulfide to gut-filling colonies of symbiotic bacteria. The oxidation of sulfide into sulfate is the energy source that supports entire vent communities. Let me know if you have ever seen or been attacked by Humboldt's big one!